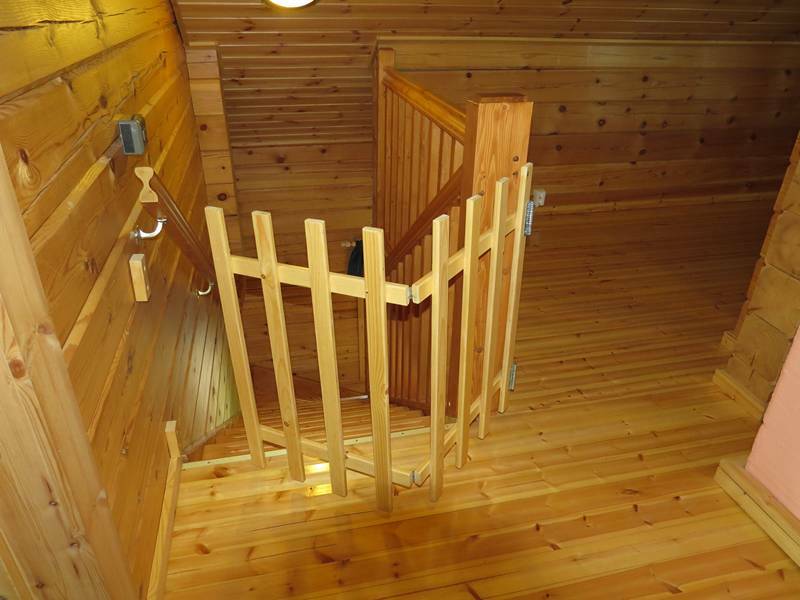 Two floors, well equipped, suitable for winter living, rental log cabin, 85 square metres, two bedrooms. 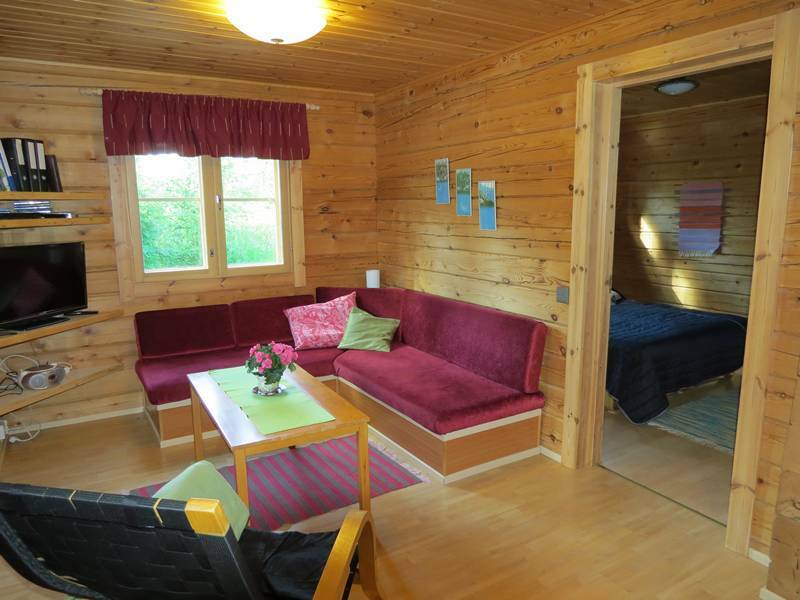 Beds for five people plus a sofa bed. 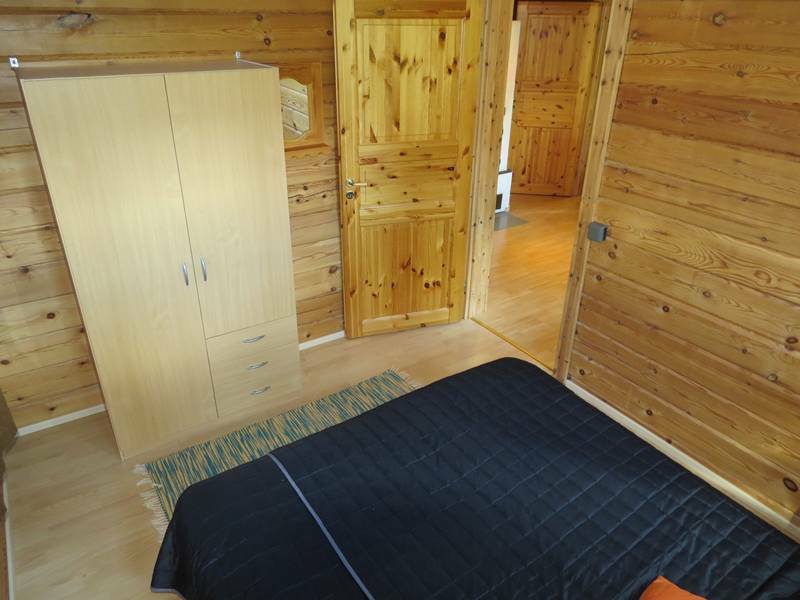 The ground floor has a bedroom, kitchen, lounge, toilet, washroom and sauna. 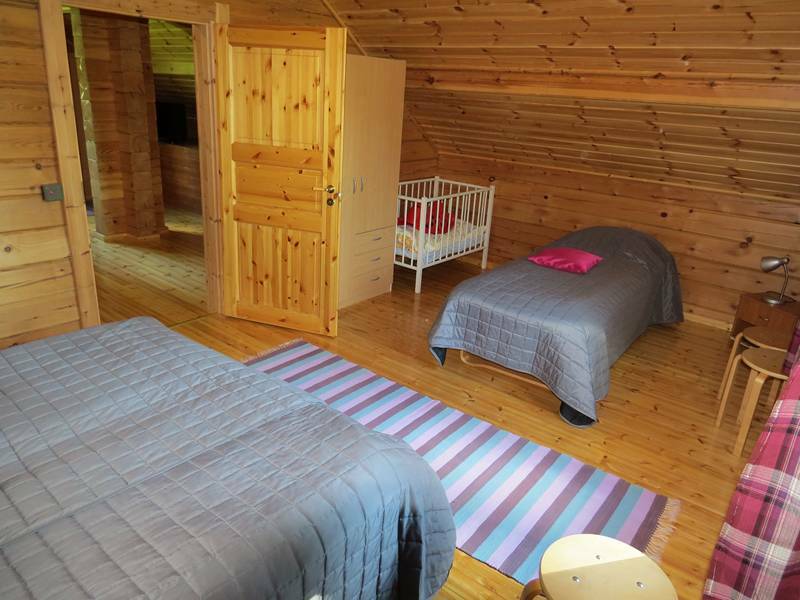 The upstairs has another bedroom and a spacious reception room with sofa bed. 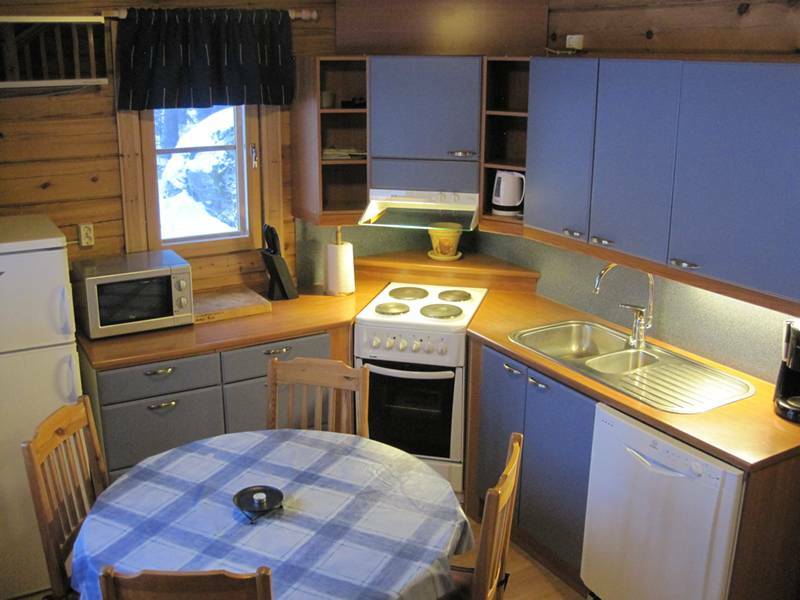 The cabin has electrical underfloor heating, air source heat pump and a fireplace. 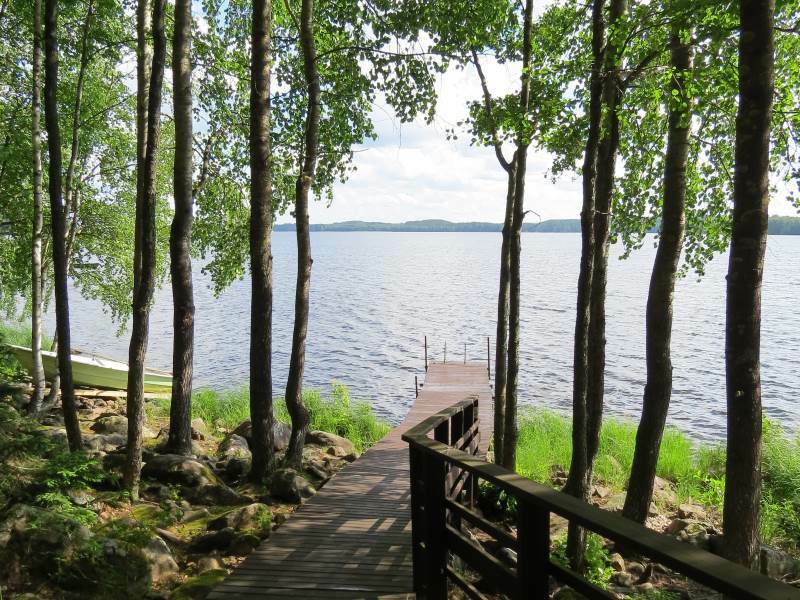 Admire the lake scenery while barbecuing on the partially shaded decking, with its wooden bridges and steps that take you to the lake. 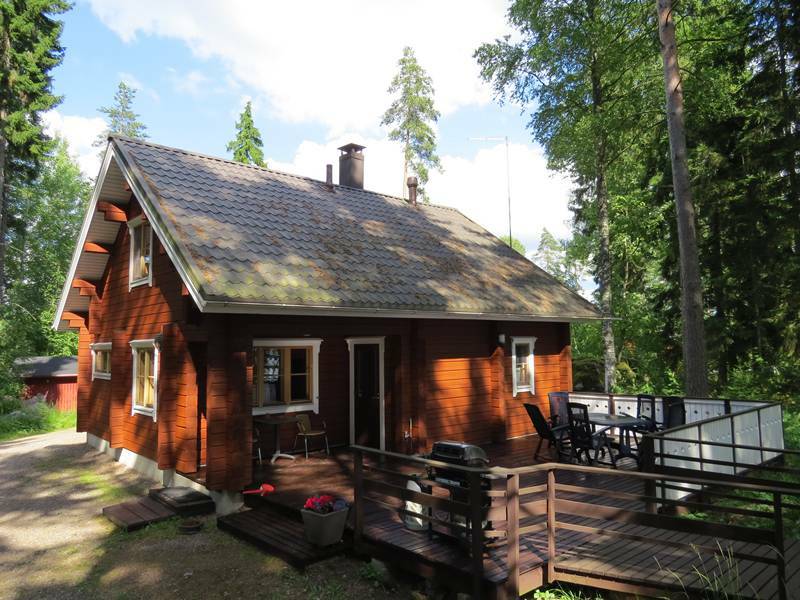 The log cabin is located in Tammela on the shores of the Kuivajärvi Lake in Tavastia Proper (Kanta-Häme). 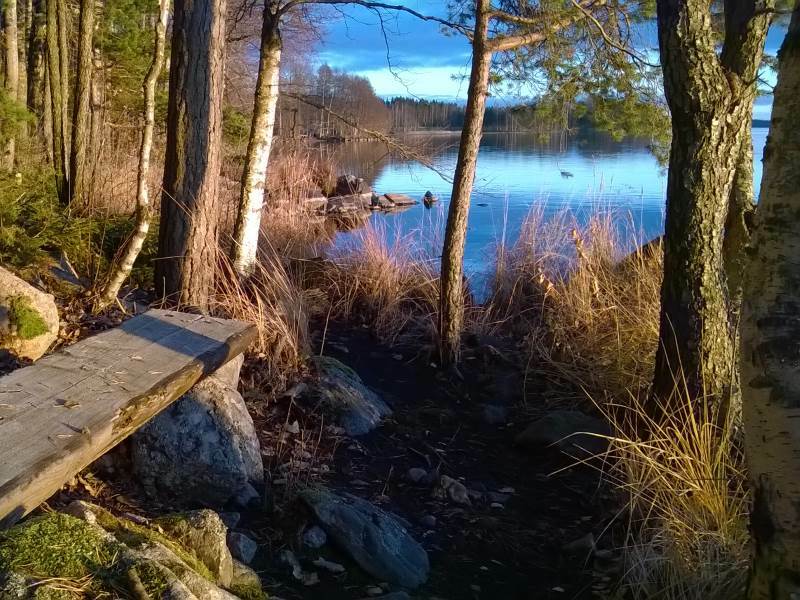 Jetty and rowing boat on the private shore. 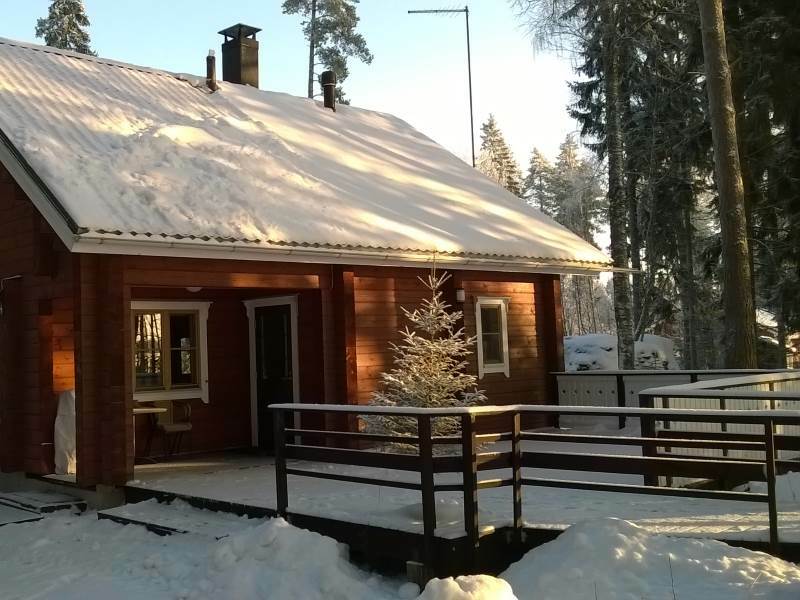 Please leave your pets at home while you are staying at Rantatörmä. 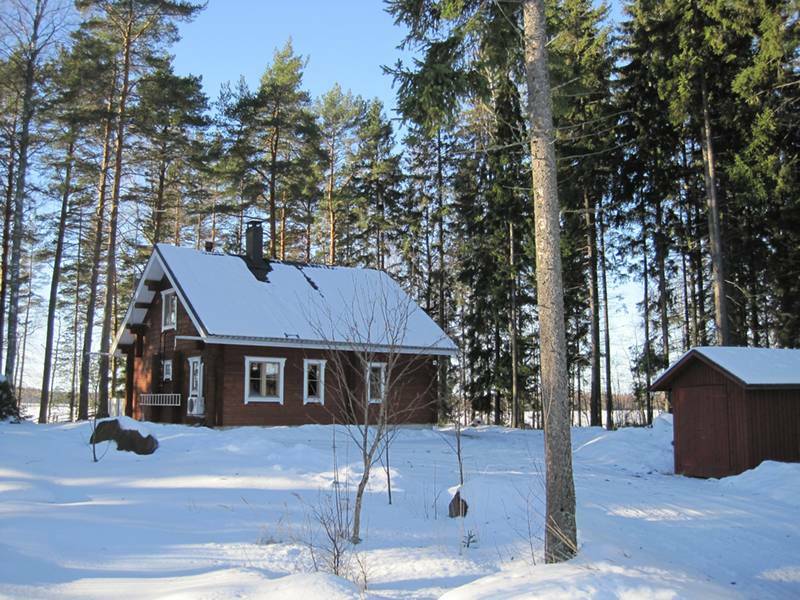 View more images of Rantatörmä on our Facebook profile.